Diammonium Phosphate. Where soils do not have enough phosphorus, diammonium phosphate can provide significant amounts of this chemical, at around 46 percent. The ammonia component of diammonium phosphate also delivers around 18 percent nitrogen. Highly water soluble, diammonium phosphate is often applied in liquid form. 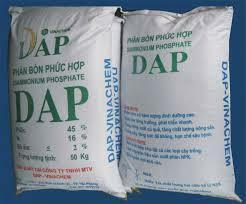 We can offer you best price for Di Ammonium Phosphate.